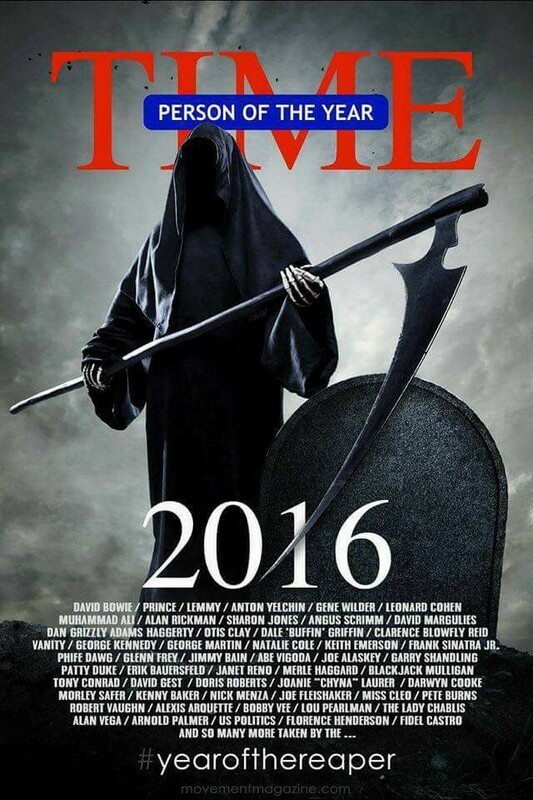 Yeah, with all the celebrities and other people who we, the masses care about or, at least, notice who’ve died over the course of 2016, this is definitely the #YearOfTheReaper. This is especially true in that the incoming POTUS, Donald Trump, doesn’t hate the coal industry nearly so much Obama seems to. Hence, most of Obama’s attempts to destroy the industry that provides both fuel and jobs for so many Americans will likely be overturned and thwarted. 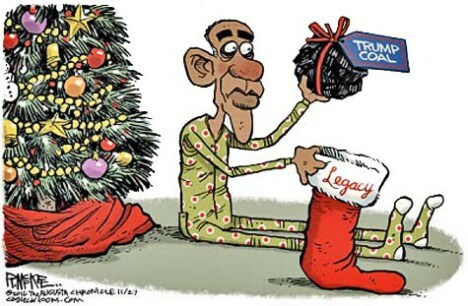 Of course, if Obama is a bit bitter about the gifts he’s received this year, that says more about his pettiness, delusions of worth, and ingratitude than anything else. As he hasn’t been beaten by birch branches or placed in the wicker man, he should be thankful, not petulant. Following the American people’s election of Donald Trump to the Presidency, Michelle Obama did an hour-long interview with Oprah Winfrey in order to tell the audience how they were now all without hope – that now, after eight year of her husband being in the White House, his constituency was now, with Trump’s victory, without any hope remaining to them and how everything would just become worse for them from this moment forward. To say the least, it was an unusual “exit interview” for a FLOTUS. Then, Michelle Obama – unaffectionately nicknamed “The Mooch” by many Americans – was never a usual or traditional First Lady. We feel the difference now. See, now, we are feeling what not having hope feels like. Hope is necessary. It’s a necessary concept and Barack didn’t just talk about hope because he thought it was just a nice slogan to get votes. He and I and so many believe that — what else do you have if you don’t have hope. What do you give your kids if you can’t give them hope? Despite many of the the people that Michelle represents truly needing our help, she does have something akin to a point irrespective of her hyperbole. The various demographic elements which were fond of the Obama Regime or, at least the tokenism it represented, are quite discouraged at this point in time. 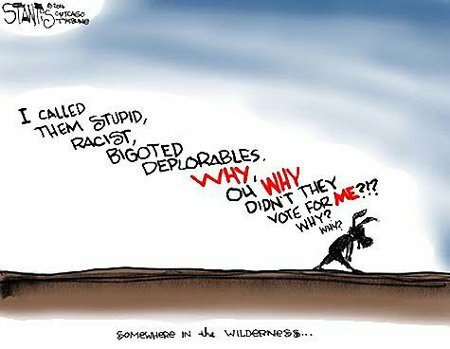 They have seen the country they were trying to create be aborted. I do, however, have this to say. If Michelle Obama’s and those she represents’ dreams, aspirations, and hopes are so different from- and antithetical to those of mainstream, middle America, they shouldn’t still be in our country and certainly not walking free in it without restraint and/or some form of oversight as they represent a clear and present danger to themselves and others.